What makes it special: By 1968, muscle cars had evolved from mainstream models with expensive special engines to expensive special models with expensive special engines. America needed an inexpensive mainstream model with an inexpensive special engine. 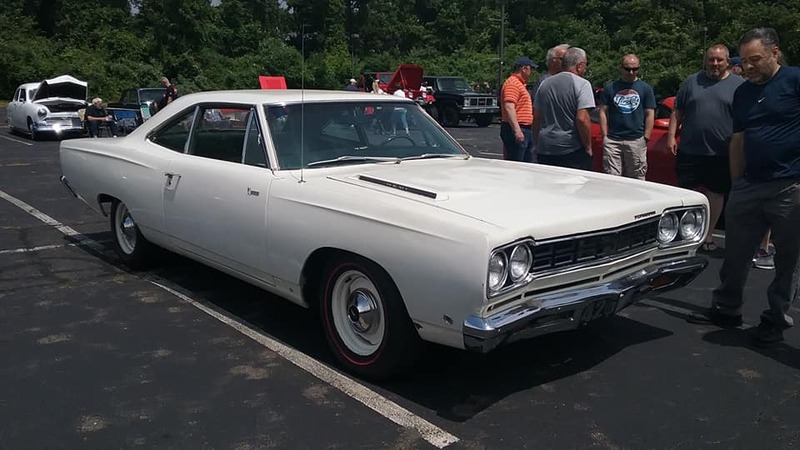 The 1968 Plymouth Road Runner was that muscle car. What made it famous: It started with a pillared coupe, the lightest and least-costly handsome new Belvedere body. Low-13’s were via the lone engine option of a 425-bhp 426 Hemi. Just 1,019 Road Runners got the Hemi, which came with a 3.54:1 Sure-Grip Dana 60 axle as a mandatory option. At midyear, a hardtop coupe was added, as was an optional under-dash knob to open otherwise-decorative hood vents. Plymouth paid Warner Bros. $50,000 for rights to decorate the new model with the name and likeness of a cartoon bird. It was just the right touch. The Road Runner became a smash hit. Plymouth forecasted sales of 2,500, but buyers snapped up nearly 45,000. Why I would want one: Out of the many muscle cars that were built, only a handful were the stuff of legend, and the Hemi Road Runner’s still one to this day. Fun fact: Critics debated the wisdom of paying $17 for the cop-attracting matte-black hood treatment, and opinion divided on whether the “Beep-Beep” horn sounded like the cartoon bird or a delivery van. It actually was the sound of success.